Whilst the average Australian has traditionally been confined by the staples that restaurants, cafes and bars offer them - the likes of sugary soft drinks or fruit juice - the growth in Kombucha on tap has been viewed as a refreshing change. At Tonicka, our customers have told us in droves that they appreciate having the option to choose a drink that not only tastes good, but that they also know is doing them good. They’re not the only ones jumping on board. The big research firms worldwide are talking about 25% compounding annual growth over the next five years in the Kombucha market. Simply stunning numbers. Is there another drink out there with that type of meteoric rise? The exciting thing is, for restaurant, bar and cafe owners, there is more than one way in which you can offer Kombucha up to your customers. Bottles certainly work in a whole range of settings, however increasingly the popular option is on tap. 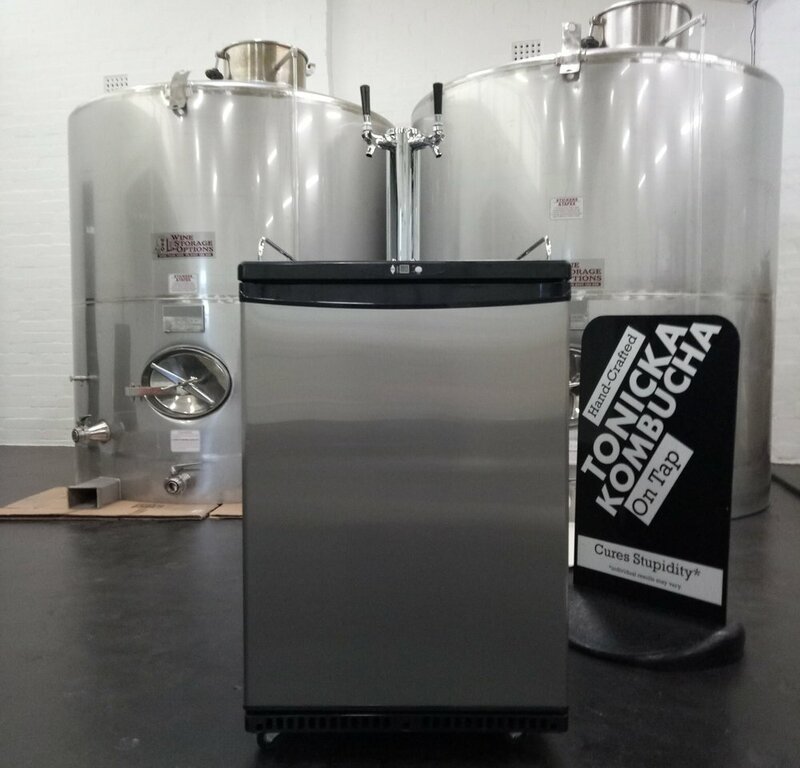 Tonicka have an ever-growing number of outlets across the country who have had us install tap and keg systems for them, with happy Tonicka-drinkers loving the difference of texture that comes with the on-tap experience. It also allows mixologists to more easily come up with cocktails and other concoctions. Want to TAP IN to the TONICKA ON TAP offering? Get in touch with us.